The inimitable star of the Carry On films was a larger-than-life character both on and off the screen. But it wasn’t just the late actor’s distinctive laugh and crass sense of humour that defined him for a generation. His love for whisky, particularly Cutty Sark, was just as memorable, writes Iain Russell. 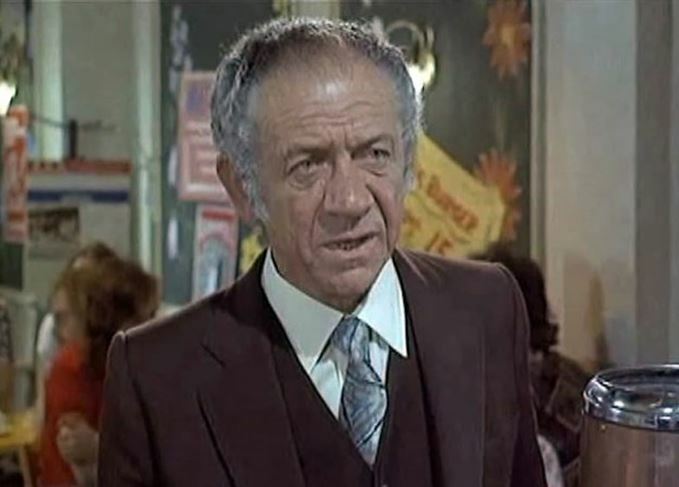 Sid James (1913-1976) was a star of stage, television, radio and cinema, best known for his roles in the Carry On… films and for having ‘the dirtiest laugh in cinema history’. He was also famous for his passion for the three ‘Bs’ – Booze, Birds and Betting. James was born Solomon Joel Cohen in South Africa, where his parents were working as a vaudeville double act. He became a hairdresser, but loved acting and served in an entertainment unit in the South African army during the Second World War. He moved to England in 1946 to pursue his dream of earning his fortune in show business. After winning roles in the theatre and walk-on parts in low-budget movies, James was cast in the Oscar-winning The Lavender Hill Mob (1951). In 1954 he became a BBC radio star as Tony Hancock’s sidekick in the incredibly popular Hancock’s Half Hour, and in 1960 he appeared in the first of 19 Carry on… films, which made him one of the most recognisable stars on the British comedy scene. A host of starring roles in popular television comedies followed, culminating in Thames Television’s Bless This House in the 1970s. A compulsive gambler, James lost many tens of thousands of pounds betting on horses over the years. Gambling was one reason for his notorious tight-fistedness: he was often in debt, or looking for money to stake on a ‘sure thing’. Curiously, it may also have been the reason he switched from drinking gin and lime to drinking Scotch after moving to the UK. James was always on the lookout for a ‘bung’ that would evade the prying eyes of the taxman and his suspicious wife, whether in the form of a cash-in-hand payment, a new suit or a car. He also discovered that there were whisky companies that would offer him free cases of Scotch in return for him ‘placing’ their brand on a set, or adding an unscripted mention to it in a broadcast. James’ agent Michael Sullivan wrote: ‘His favourite drink, or at least it became his favourite drink because it was free, was Cutty Sark whisky. For long periods in his life he received a case of the stuff a week... for mentioning the brand name of the booze on stage and demanding that it be included in the programme credits. The comedian Jack Douglas remembers going to a party at James’ home. The host stopped serving Champagne early (he was keen to get a refund from the retailer on returned bottles), and ‘was serving his friends Cutty Sark whisky, which he endorsed… and which he had by the crate’. There’s no doubt that James enjoyed his Scotch. His biographer Cliff Goodwin offers an example, when the star was upset to find that Thames TV had imposed an alcohol ban in its dressing rooms at the time he was filming Bless This House. His solution was to buy a large bottle of cheap mouthwash for his dressing room. ‘The whisky-coloured liquid was replaced with Cutty Sark. For two weeks, the [show’s] two writers would pop in to Sid’s dressing room for a ‘mouthwash,’ Goodwin wrote. Unfortunately, the ploy was rumbled when the programme’s director visited the dressing room, complained of a sore throat, and poured himself a glass. James would go to great lengths to boost his stocks of free whisky. The actor Tom Adams recalled that he even accepted a minor role in Where the Bullets Fly (1966) in return for a case of Scotch. And Cutty Sark was not the only brand to enjoy the actor’s patronage. In Carry on Again Doctor (1969), he played Dr Gladstone Screwer, working at a medical mission on the remote Beatific Islands. When the unfortunate Dr Nookey (Jim Dale) is posted to the mission, Screwer shows him the ‘medicine cabinet’ – which was filled with rows of bottles of Johnnie Walker Red Label, apparently at James’ instigation. Dr Nookey promptly retires to his room for several weeks and drowns his sorrow in Red Label – he can’t get enough of it, and the brand was given valuable exposure on the big screen (not a lot of people know that the local woman who helps Nookey snap out of his depression is played by Shakira, who subsequently married Michael Caine). During the In the 1970s, however, he was devastated when his Carry On co-star Barbara Windsor ended their affair. Already suffering from a serious heart condition, he became deeply depressed. In 1976, he collapsed on stage at the Sunderland Empire and subsequently died.